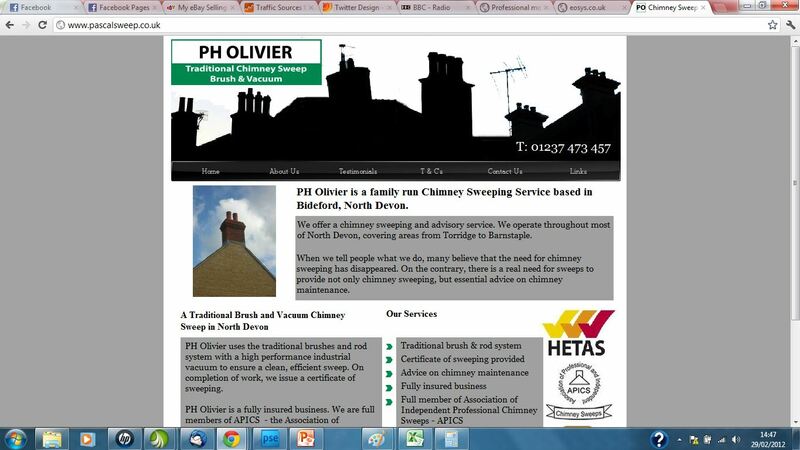 PH Oliver, a Bideford based chimney sweep, used to have a website that was as uninspiring as it was poorly optimised. The site received virtually no traffic and was therefore useless for bringing new customers to the business. We redesigned and rebuilt the website to make it visually more appealing and to improve the optimisation. Since the rebuild, the PH Oliver website continues to receive high amounts of traffic which has resulted in many more profitable enquiries for this small business.